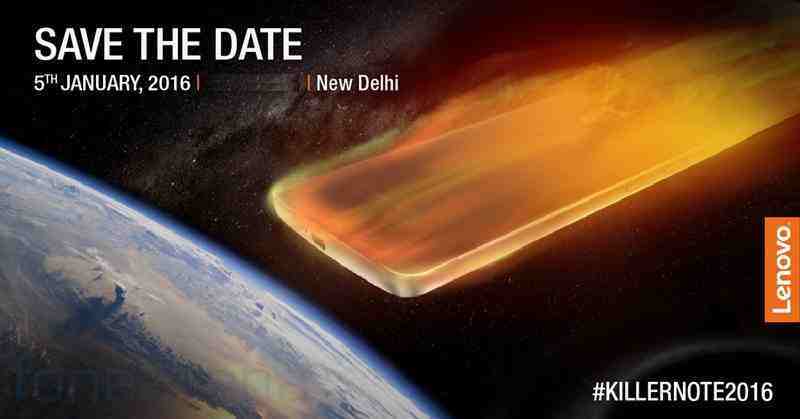 Lenovo K4 Note will be launched in India on January 5, 2016. It is the updated version of Lenovo's K3 Note smartphone. The company has been putting out teasers for the new phone. According to a latest Twitter post by Lenovo, the K4 Note will get 3GB RAM up from the 2GB in the previous version. The tweet read, “More than 99 per cent of you preferred 3 GB RAM in the #KillerNote2016 & that’s what you’ll get! Get ready for the RAMpage!”. Also the handset is likely to retain the 5.5-inch display size and full-HD screen with 1080X1920 pixel resolution. Lenovo K3 Note has been one of the most successful smartphones for the Chinese manufacturer. The 5.5-inch full HD phablet with an octa-core 1.7 GHz Mediatek MT6592 processor coupled with 2GB RAM and 16GB storage (expandable up to 32GB) was big hit for 2015. The K3 Note has a 13 MP rear camera and a 5MP front camera.